Do excuse my brief hiatus again. Cooking a lot had fallen on my list of priorities having been really sick recently. Also, my car was hit on my street and ultimately ruled a total loss. Thus, I’ve been in settling out mode with insurance and researching mode with replacing my car. All has worked out in the end- no one hurt and I ended up with a settlement amount that was more than the worth of my car due to the very low mileage and excellent condition (pre-accident of course) of my car. While I’m sad to say goodbye to my little Scion TC, I am happy to welcome an Acura TSX into my world. So it is time to get back to some good eating! 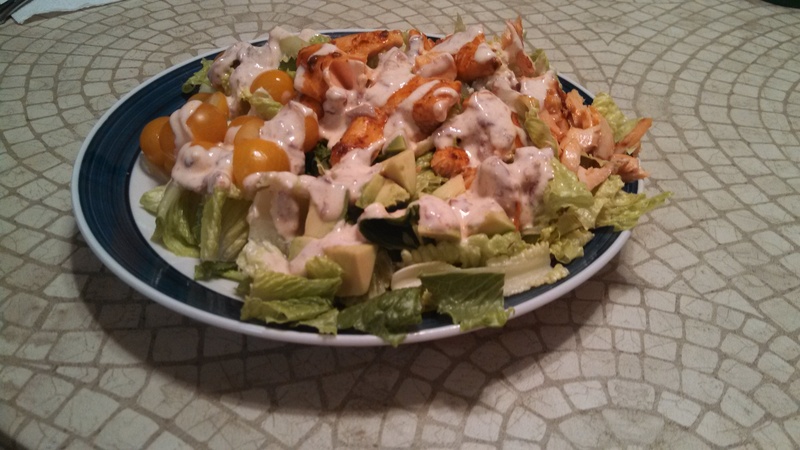 I had never had salmon atop a salad until this recipe as it kinda seemed gross to me for some reason. I like salmon with a salad on the side so I’m not sure what my issue was. In any case, I’m a changed lady. This Eating Well recipe is great and the flavors are unique as salads go in my opinion. What else do I love about it? It is filling yet nutritious (4 servings; each @ 385 calories; 22 g fat ( 8 g sat , 9 g mono ); 13 g carbohydrates; 0 g added sugars; 37 g protein; 7 g fiber; 696 mg sodium; 1476 mg potassium). It also did not take 2 hours to prep rather just a half hour tops. The recipe notes to skin the salmon, but I just cooked on the Foreman where the salmon meat and skin separate pretty effortlessly. The recipe link does offer tips re: skinning the fish and oiling the grill if you go that direction. I like to share the ways I find easiest with you all of course. Give it a go! Preheat grill to medium-high (or George Foreman to around 350 degrees). Cut salmon into 4 equal portions (I portioned after cooking). Brush with adobo sauce and sprinkle with 1/4 teaspoon salt. Oil the grill rack. 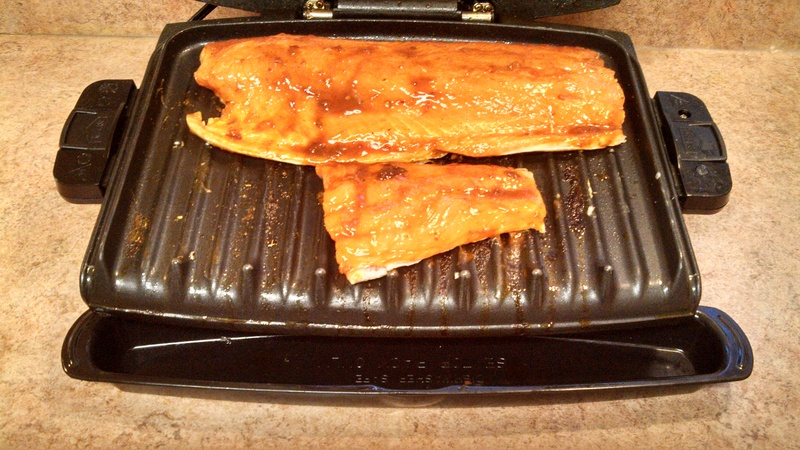 Grill the salmon, turning once, until opaque, about 3 minutes per side (no need to turn on Foreman). 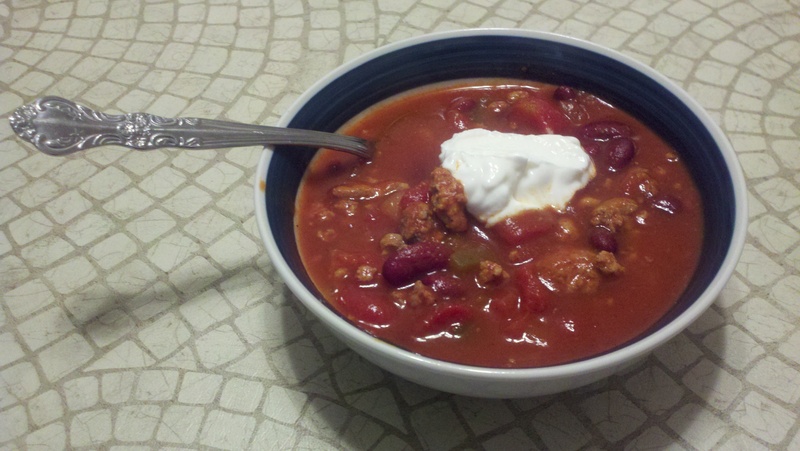 Combine sour cream (or greek yogurt), vinegar, water, minced chipotle and the remaining 1/4 teaspoon salt in a small bowl. Toss greens in a large bowl with 1/2 cup of the dressing. Divide the greens and salmon among 4 plates. 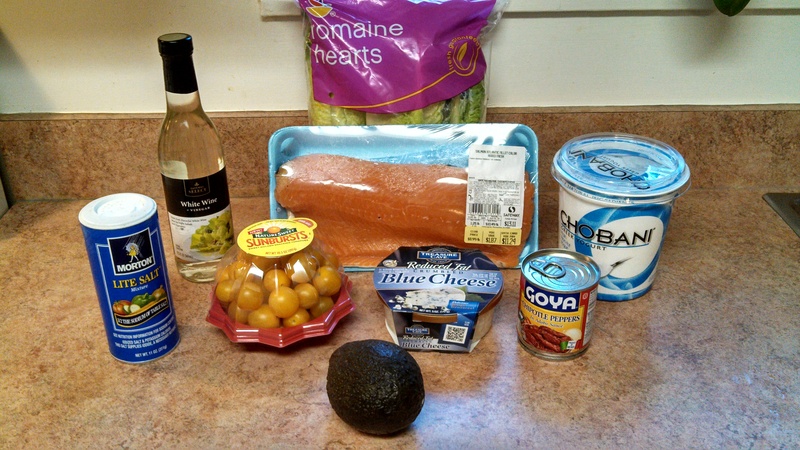 Top with avocado, tomatoes and blue cheese. Drizzle with the remaining dressing. Perfect Tortilla: How Perfect Are We Talkin’? 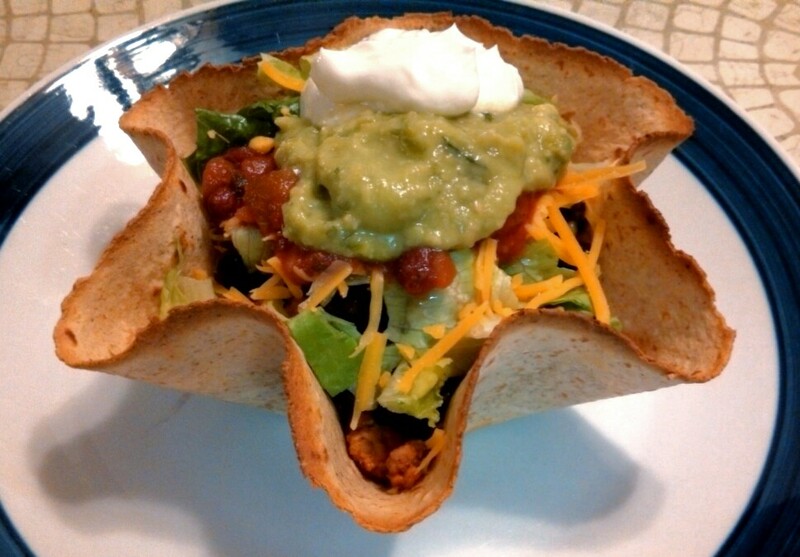 You may have seen the Perfect Tortilla infomercial which boasts its product’s ability to provide a healthy and fun way to enjoy a tortilla bowl. Bryan really wanted this item to be added to our repertoire of fun kitchen items (other such items we own include a tabletop popcorn maker, deep fryer, fondue pot, and Skookie which is a cookie skillet.) The set comes with 4 tortilla molds and a recipe booklet with sweet and savory ideas. I typically buy 10-12″ whole wheat, low carb tortillas and simply heat them in the oven until a little crisp. 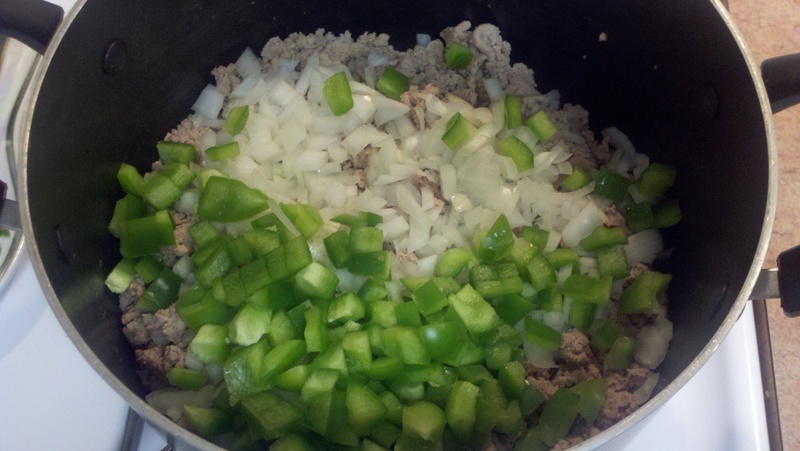 I fill them with low-fat browned ground turkey seasoned with El Paso low-sodium taco seasoning. I’ll top with myriad of extras like lettuce, salsa, Wholly guacamole, a little reduced-fat cheese, and greek yogurt in place of sour cream. Serve with black beans on the side and you’ve got yourself one flavor-bursting, reasonable meal! The only change to this is that I used the Perfect Tortilla this time. I simply put the tortilla in the mold, ensured it was flush with the edges, and baked for about 8 minutes. It did, in fact, make the normal taco meal I love a lot more fun! 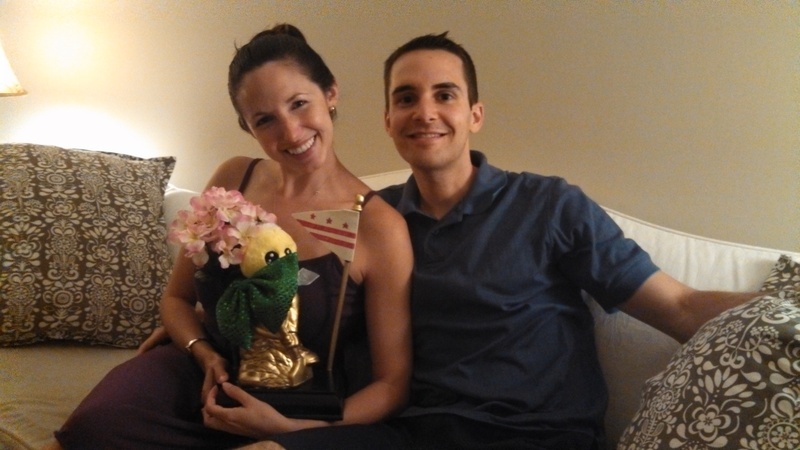 This goes to show that a little novelty can go a long way. I’m excited to try different recipes in my Perfect Tortilla. Do you have a favorite fun kitchen item that makes a meal 10x more fun? The impact of Hurricane Sandy aka Frankenstorm on me so far? Knowing I would be working from home for possibly a few days/ possibly losing power= it was a good time to make a pumpkin breakfast/snack item to have on hand. Something with oatmeal also sounded appealing. I came upon this recipe from Ambitious Kitchen. 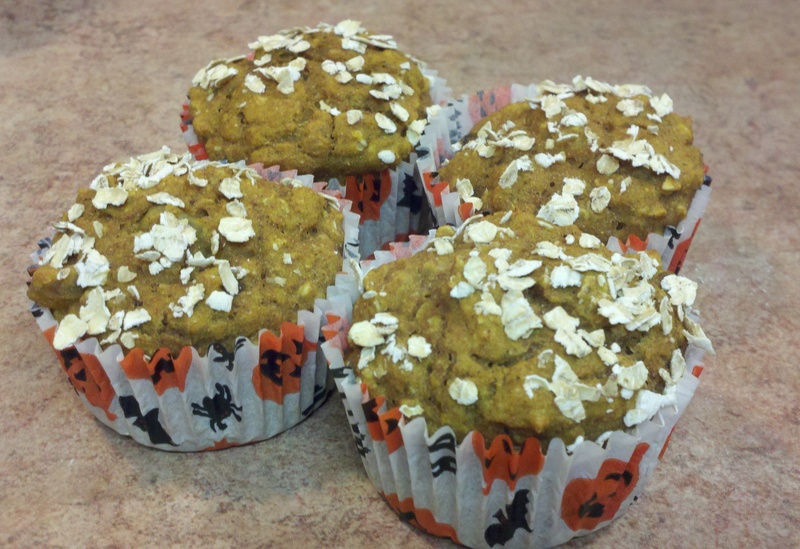 Pumpkin and oatmeal- done. Otherwise, Ms. Sandy has resulted in us losing power for a little and our internet/TV service being very spotty which is why post one on the week comes to you on a Wednesday instead of Monday. We consider ourselves very lucky for incurring a short stint of power loss and have heeded the warnings to stay inside. I’m thinking of those in the Northeast- NY, MD, and NJ who seem to have been hit the hardest. Sending positive vibes your way. Preheat the oven to 350 degrees and line 12 muffin cups with paper cups or spray with nonstick spray (including inside of the cups). 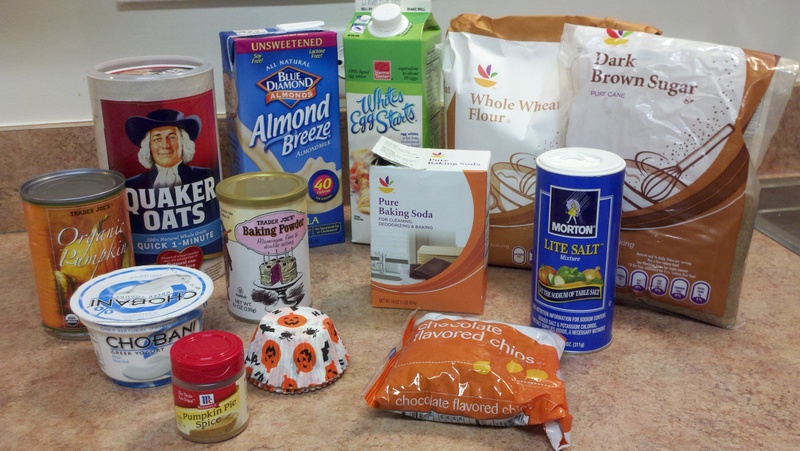 In a large bowl mix flour, oatmeal, pumpkin pie spice, baking powder, baking soda, and salt together. In a separate bowl combine pumpkin, mashed banana, brown sugar, almond milk, egg whites and greek yogurt. Add the pumpkin mixture into the flour mixture and stir to combine. Gently fold in chocolate chips. Fill each muffin cup 3/4 full so that each is even. Sprinkle a tiny bit of oatmeal over each top of the muffins. Place into the oven and bake for 23-28 minutes or until a toothpick inserted into center of muffins comes out clean. Muffins are best served warm. Reheat in the microwave for 20 seconds and spread with topping of your choice- I recommend Land O’ Lakes Light Butter with Canola Oil myself! You might be asking yourself, “Didn’t she already post a pumpkin chili recipe?” Yes I did but that recipe had a chicken broth base and this one is tomato-based. Worlds of difference. Also, I’m going to do as much pumpkin cooking as possible. You’re not surprised, are you? This recipe screams comforting fall/winter meal. This will also give you an abundance of leftovers. As with the chicken broth-based chili, this one has enough of a hint of the pumpkin to taste it but you won’t feel like you’re eating pumpkin pie in a chili. Enjoy! In a large pot over medium heat, cook beef until brown; drain. Stir in onion and bell pepper and cook 5 minutes. 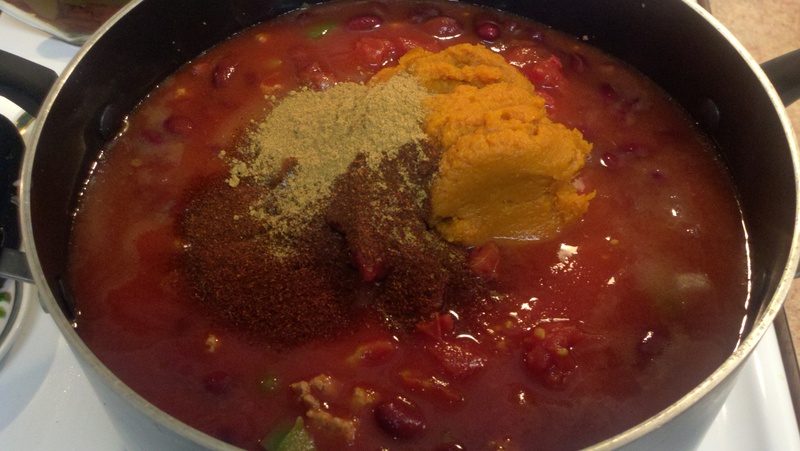 Stir in beans, tomato juice, diced tomatoes and pumpkin puree. Season with pumpkin pie spice, chili powder, and sugar. Simmer 1 hour. Top with a dollop plain greek yogurt and some fresh herbs and eat up! 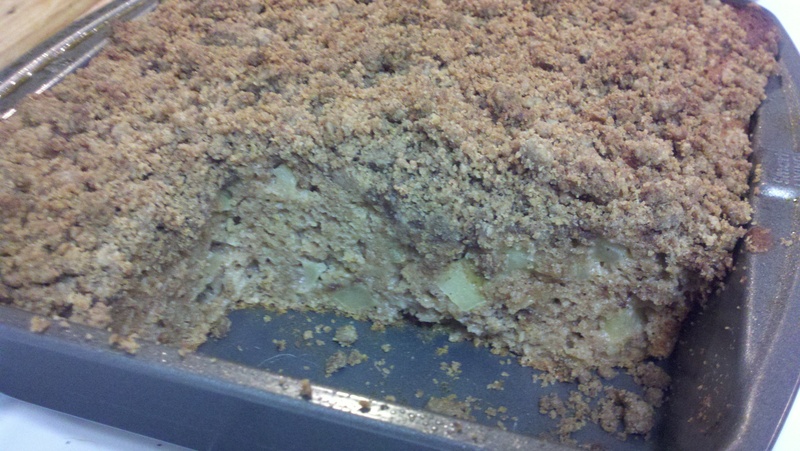 Another recipe resulting from apple picking. Bryan cited this one as one of his favorite treats I’ve made in a while. This is big seeing as chocolate is typically his calling. I share in this being a favorite as of late. It was extremely moist and indicative of the fall season. Exactly what I was hoping for. 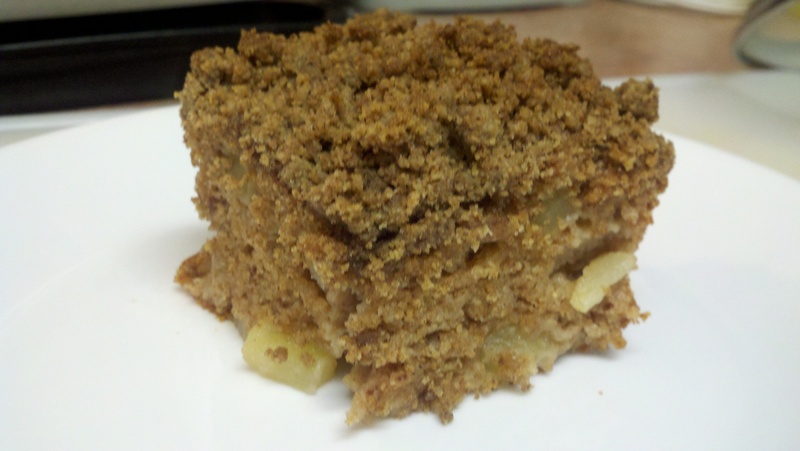 I used this recipe from a fellow blogger who LOVES apples and has a whole series of apple recipes. 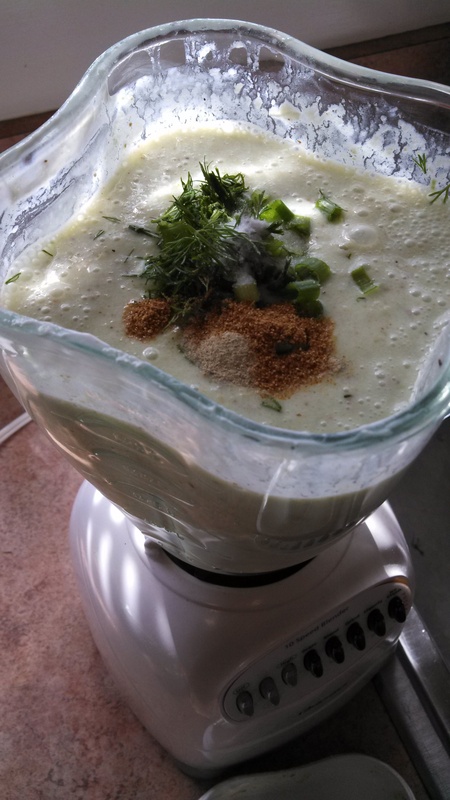 I modified slightly using whole wheat flour and greek yogurt in place of all-purpose flour and sour cream. I would suspect the whole wheat makes it taste a bit more hearty than would regular flour, but it made me feel a little better about the stick of buttaaaa. On a final note, you will be shocked at how thick this coffee cake is. I mean LOOK at this… Enjoy! Preheat oven to 325 degrees. 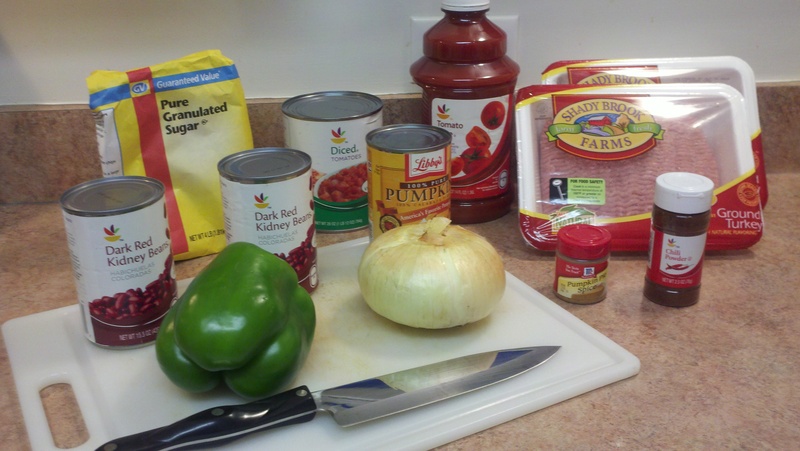 Grease or use cooking spray to prepare a square baking dish. 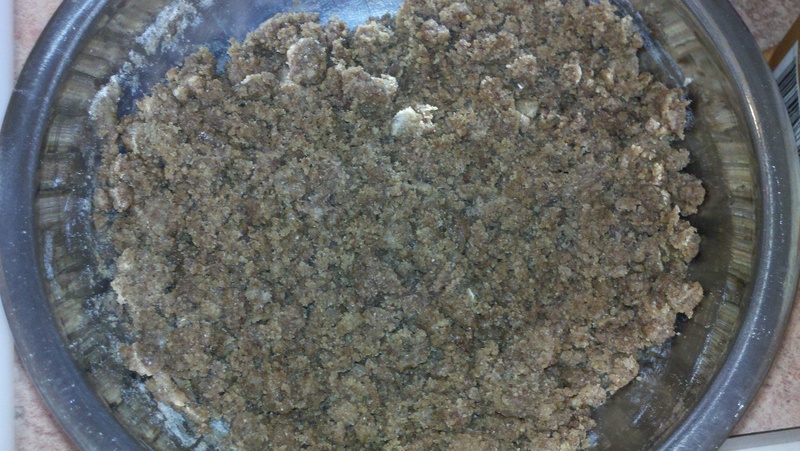 To prepare your crumb topping, mix all ingredients except the flour in a medium bowl. Once combined, slowly add the flour and mix with a fork. The delicious crumbles will form! Set aside. 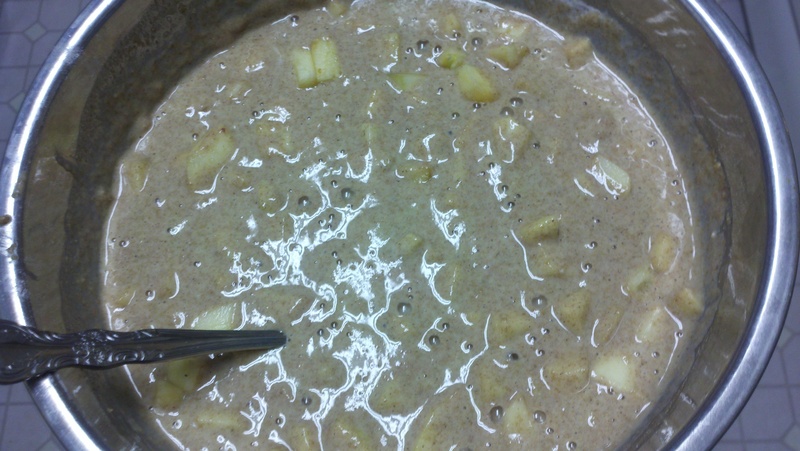 In a small bowl, combine the filling ingredients. Set aside. 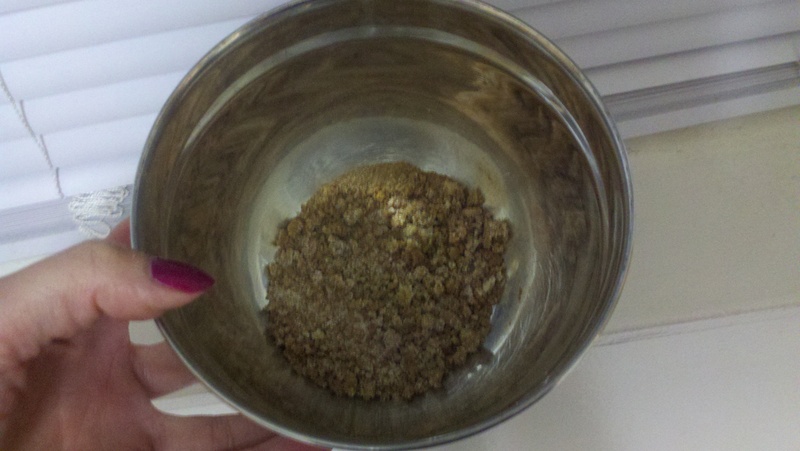 In a large bowl, whisk all of the dry cake ingredients together. Slowly add milk, greek yogurt, eggs, and vanilla until mixed. Fold the apples in gently. Pour half of the cake batter into the prepared pan. Add the dry filling ingredients distributing as evenly as possible. Add remaining cake batter. Break up your topping crumbs with a fork. 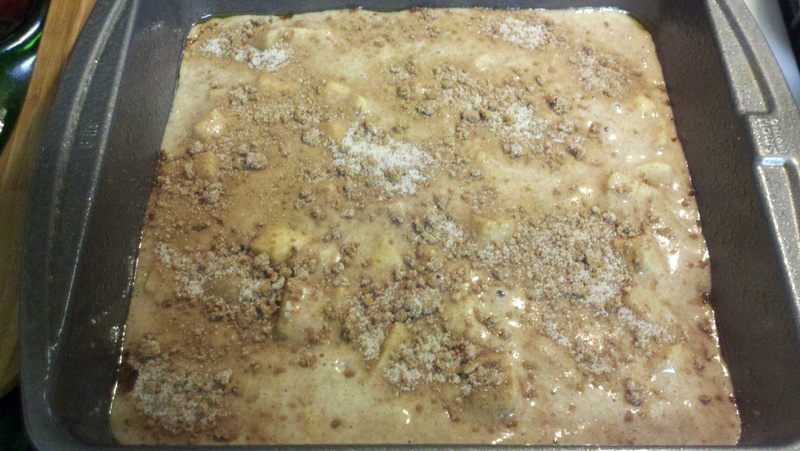 Cover the batter with the crumb topping. LifeWork Strategies comes to a number of our health events at my company, SRA International. 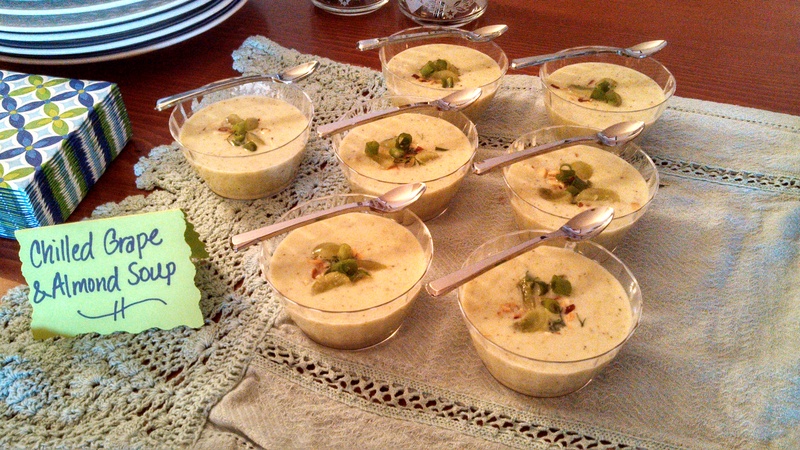 Often, healthy recipe demos are a part of their participation. 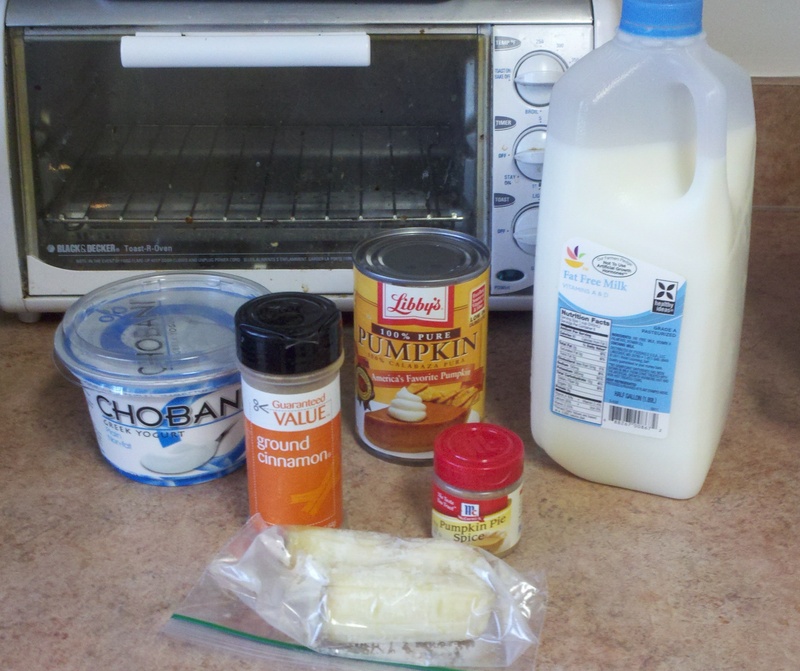 A great find at Bryan’s site’s fall health fair (he is an SRA employee as well) was this pumpkin smoothie recipe. 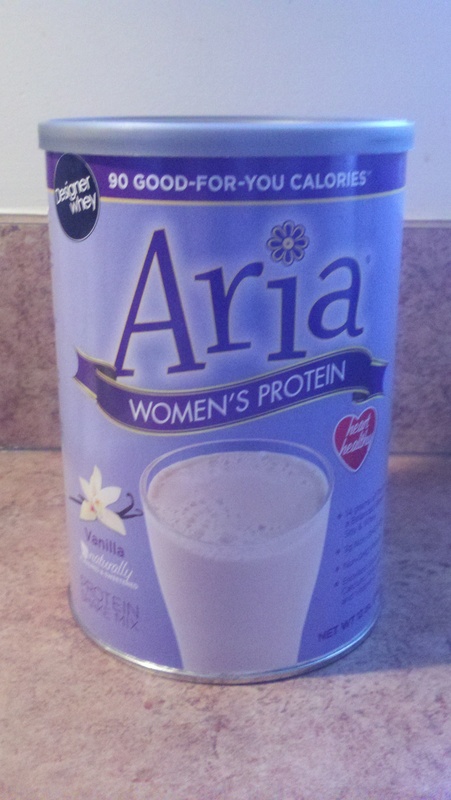 I personally modified to include a vanilla-flavored protein powder for women called Aria. It features a combo of whey and soy protein appropriate for ladies. It is very low in sugar and has no artificial sweeteners. Couple scoops at 90 calories plus some skim milk makes a great snack. There is also a chocolate flavor. You can find this at your local Vitamin Shoppe for around $13 or save a few bucks and order packs of 2 for around $20 through Amazon.com. It qualifies for the free super savings shipping so get something else you’ve been needing to get to the $25 and shipping will be gratis. 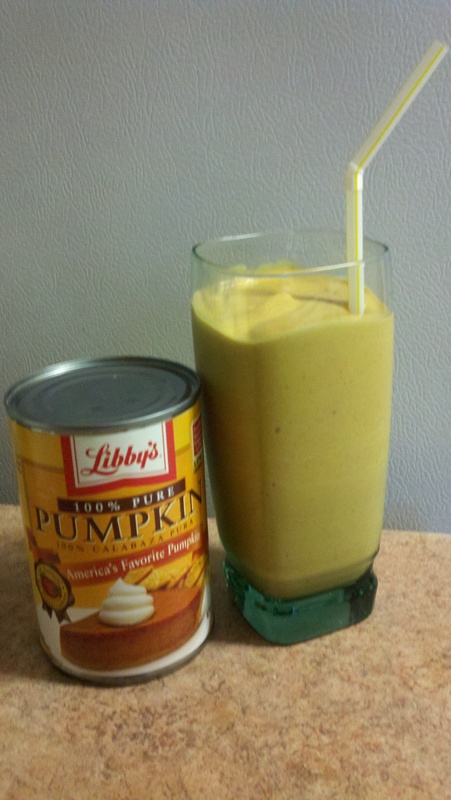 Back to the smoothie…this is yet another way to enjoy pumpkin and in a healthy way! This recipe will make 2 servings so if you make for just you, I would half the recipe. The night before, portion pumpkin into ice cube tray and freeze.